The JOY of playing in the rain. “It’s a Miracle! “Exclaimed my grandson as he spied the rain falling from the back door window. I opened the door and we both walked out to feel the wondrous drops of long-awaited moisture plop upon our heads. It has been weeks since there has been any precipitation in our area. The grass is dormant, except in the backyard where I have been watering it. The trees are losing their leaves and nature is yearning for a clean drink of water. It rained a steady rain for about 45 minutes. This was enough to cause puddles to stomp in and for the air to smell fresh. It is amazing how parched both nature and humans become when there is not any rain. I hope this is a new trend in the weather. I pray that we continue to produce enough rain to revitalize the crops, perk up the grass, and hydrate the trees. Until then, I am grateful I was able to view the nectar from the clouds, and my grandson doing his dance of joy. Posted in Living the Life and tagged grandchildren, Grandmother Musings, grandson, Joy, MIRACLES, nature, outdoors, Playing in the Rain, postaday, Rain, rain dance, rain drops, steady rain. Bookmark the permalink. Did it rain everywhere today? I just posted about our mid-afternoon monsoon over here. 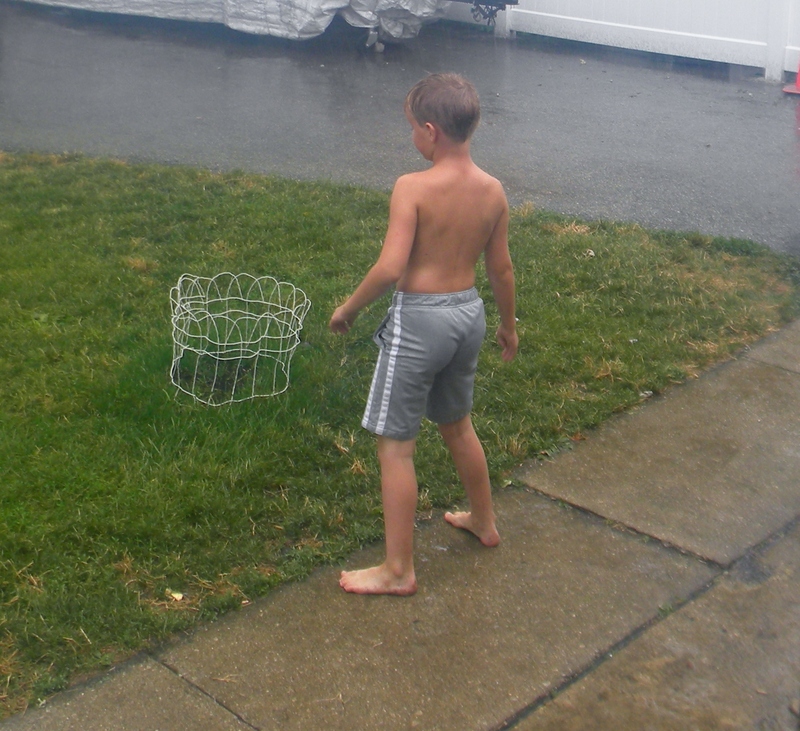 Thank you for sharing your grandson’s joy of raindrops falling… We got lots of rain here last week.